As you may know since minecraft 1.8 "Gravestone mod" was splitted on two parts - "Graves"(only graves) and "Extended"(all another content). This is the second part of the mod, which consist of additional blocks(such as memorials, spawners, skull candles, and e.t.c), structures(cemeteries, undertaker house, catacombs, and e.t.c) and monsters. This mod requires "Gravestone mod - Graves" for wokr. Also some of its content available only if "Advanced Fishing" mod is installed. Visit official site(I'm still working on its content) or minecraft forum for more information. Okay, I'll try this one out. Thanks. Really like this mod! Thank you for your hard work dear developer! BTW I found that when Undertaker got infected by the zombies(which means when they become a zombie villager) , they do not have an independent zombie villager texture , which makes them spawn in a pink-black texture. Thank you for informing! Did you have this problem with latest version of the mod? I love this mod, but would prefer to use a different one for player death graves. Any way to have this mod without your other GraveStone mod? There is a configuration option, which disable graves generation at player death - "GeneratePlayersGraves". Set it to "false" - it should be enough to make my "grave" mod compatible with others. 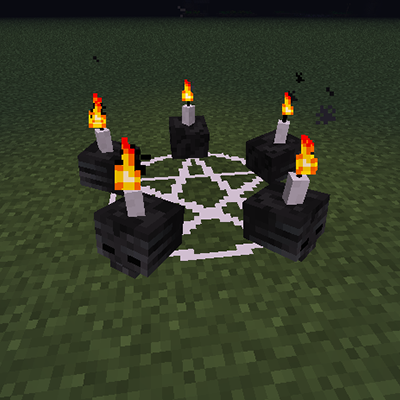 You are tried to use it with this mod https://minecraft.curseforge.com/projects/gravestone-mod , aren't you? Unfortunately it has the same ID, So it is not possible to use both of them. I need a dimensional blacklist for mob spawns. They are way way too common in the Twilight Forest. Dimension blacklist whitelist please, and biome blacklist. I'll be keeping them on Advanced Rocketry worlds, but they get atrocious on anything with an altered worldheight such as TF or Misty World. The optional biome blacklist means that I can use it with biome o plenty without issues. I came across a Drowned for the first time today. It was at the bottom of a small river. And despite me being completely safe (as far as I could tell) on dry land in broad daylight, I've never been more creeped out while playing Minecraft in my life. It even took me a second to realize that I wasn't just seeing things. Having that thing stare up at me from the river bottom and make THAT sound (seriously, where did you dig up that unearthly sound) was quite unnerving. I don't have any issues to report. I just wanted to say that you did a fantastic job of making an immersive experience and from now on, I'm not going to be able to jump in a river without double checking first. Hmm. b3 is spawning hundreds of phantom divers. Yup, using that since it came out, seems to settled down now. Any chance for the next version of the mods config to have options to disable vampire bats?